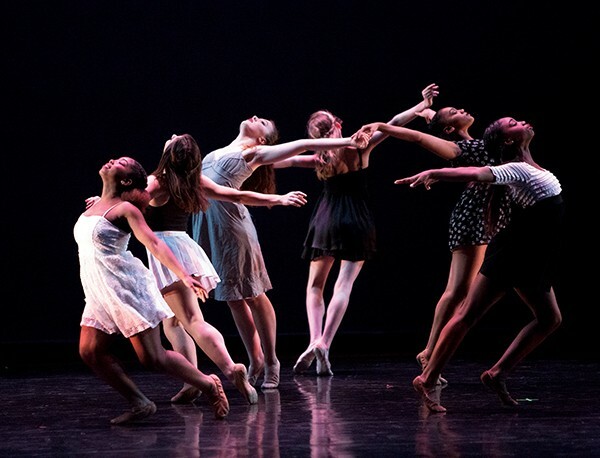 Fifteen years ago, New Ballet Ensemble premiered its Springloaded program, an annual performance that typically blends classical and contemporary dance. The resulting creative fusion has provided some of the most striking and memorable moments of performance arts in the city. This year's program examines nothing less than a child's rite of passage into adulthood with movement inspired by ballet, flamenco, African dance, and hip-hop. One of the works is Samuel Barber's "Knoxville: Summer of 1915," based on the poem by James Agee and choreographed by General Hambrick. The piece, featuring soprano Joelle Lamarre, is something of a coming-of-age experience for the narrator, embracing the traditional while looking to the future. Another significant work is "Dances in the Canebrakes," by Arkansas-born Florence Price, considered to be the first African-American woman symphonic composer. It's rooted in the rhythms and melodies of the African American experience. Longtime New Ballet artist Noelia Garcia Carmona is doing "Dones, Mujeres, Women," a Spanish ballet in three movements, with music by Vicente Amigo, Manuel De Falla, and the Gypsy Kings, that describes the journey to womanhood and self. The newest piece in the program is "Matter in Motion" by Elizabeth Corbett, something of a meta work that examines the process of choreography and dance. Bringing it home is a performance of Isaac Hayes' "Shaft" with choreography by Robin Sanders. The program also includes new works by company artists, Briana Brown, Aaron Atkins, and Travis Butler. Empathy and The Falling and the Rising.